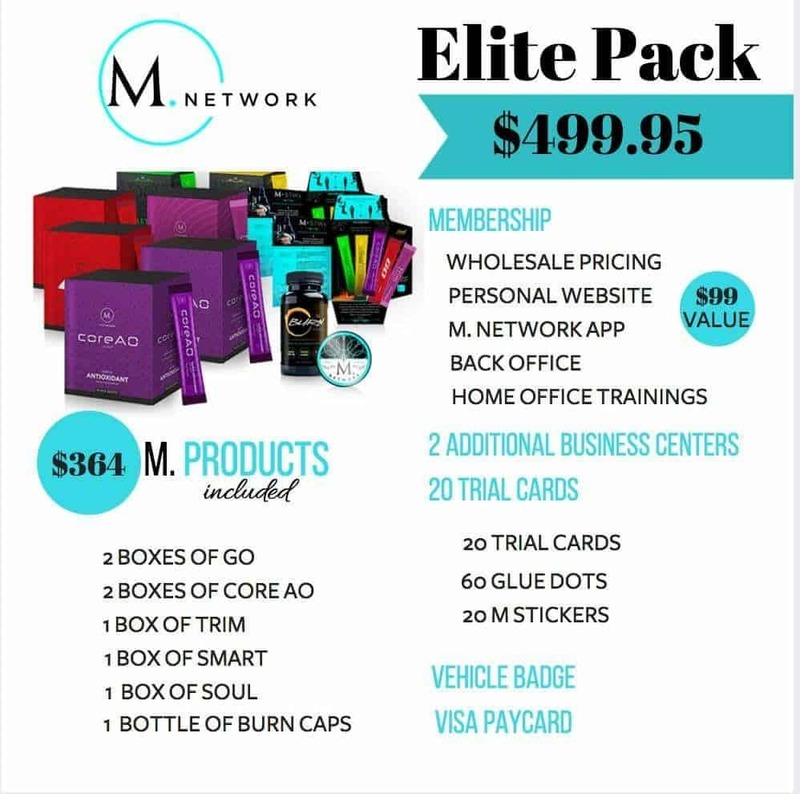 I am very excited that I found out about the m network mlm opportunity as a founding member. I have been with m.network for almost two years and drink multiple m network stiks daily. Dehydration had always been a probably for me because I did not like the taste of water. I would typically drink with every meal, but not enough. Since joining the M Network Opportunity, I drink over 70 ounces of water everyday. I drink a go stik and a trim stik in the morning and a soul stik and a core AO in the afternoon. I am grateful that I don’t have to worry about dehydration because of the M.network stiks. 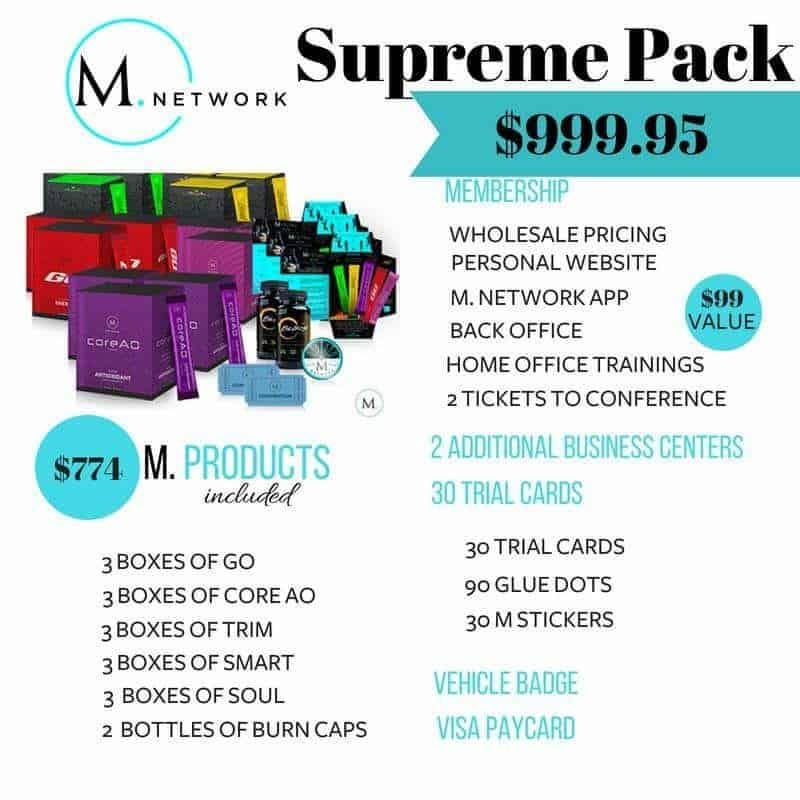 If you are on this page, it is because you have heard about the m.network opportunity and are interested in hearing more. I love being a part of M Network because it is really a family. There are home office trainings, multiple facebook groups and many opportunities to learn. 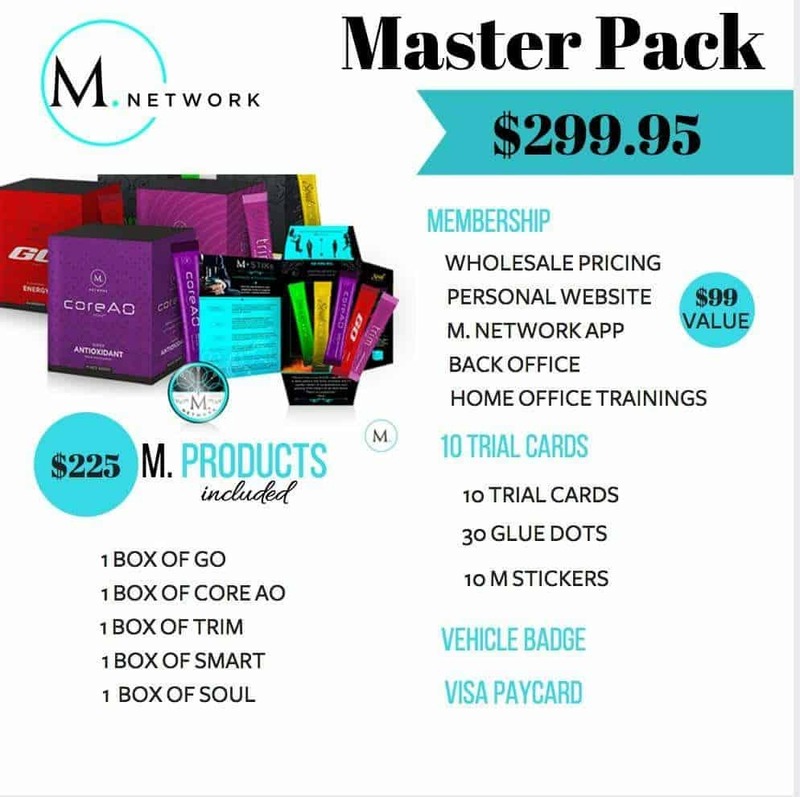 Here are the M Network Opportunity Sign Up Packs. 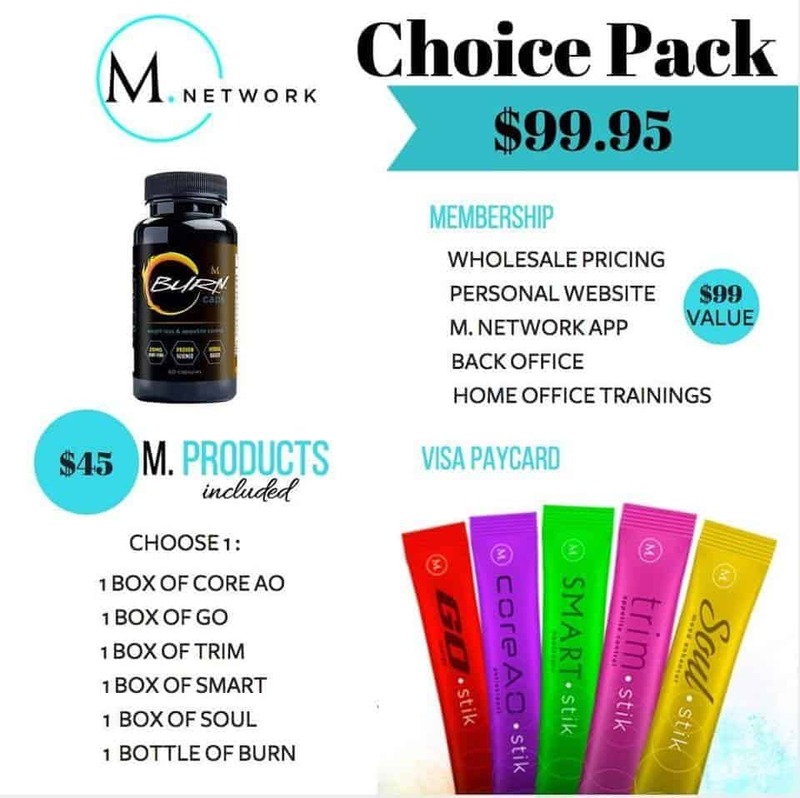 Right now our main line of product is our hydration stiks but if you check out the m network m lab, you’ll see some new products. I definitely recommend checking out the M3z sleep spray and the 8n1. To learn more about the m network compensation plan or to sign up, visit our opportunity page.